Zeus, the most powerful of all gods, had a son named Hercules. 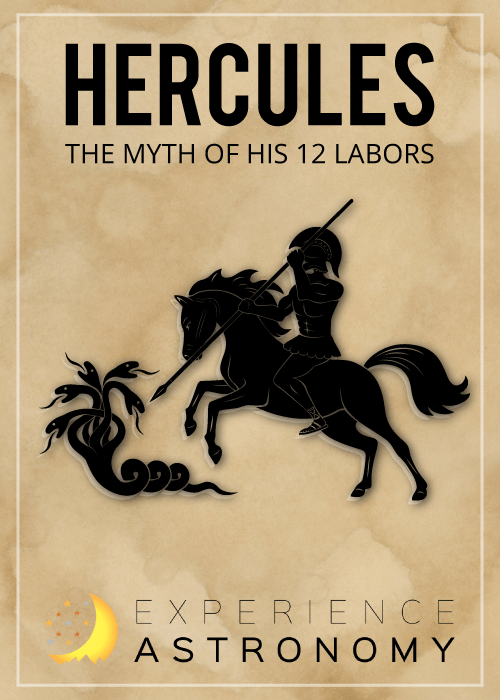 Hercules was the strongest man on earth and considered himself equal to many of the gods. Because his mother was mortal, and his father was the king of gods, he was half-god, half-mortal. Hercules was confident, brave, and cunning, but he was also short tempered. He had sudden outbursts of anger and was sometimes rough and hardhearted. But after his rage, he would feel guilt and was always ready to accept his punishments. As he grew up he was prideful and boastful, and nothing anyone could’ve said would change that about him. His mother, Hera, was very jealous of Hercules and his strength. As he grew up, repeatedly she would try to kill him. Zeus wanted to protect his son, so he sent Hercules away to live with earthly parents until he was a man. Years went by and when he came back, his mother Hera, came up with a way to get rid of him. She would provide 12 tasks for Hercules, and if he could survive all of them she would leave him alone and let him have immorality. (Or so she said.) She was positive that he wouldn’t be able to live through all of them. So He started the tasks. For the first one, he had to kill a lion that no one had been able to defeat—no matter what they tried. But he was stronger than the lion: he strangled it and skinned it. For his next task, he had to kill a giant snake. The snake had 9 heads and one of them was immortal. So when the last head was left he burned it and buried it deep in the earth so it could never get out. For the third task, he had to bring back a pig alive. This pig was mean and could defend itself very well, so he chased it for days down the mountain until it was too exhausted. He then carried it down the rest of the mountain to show everyone his great reward. He went on with tasks. He had to catch a very fast horse, kill clawed birds, clean stables in one day, capture a bull, retrieve a girdle belt, and fight a monster! He completed all of these tasks, and Hera was shocked. She started losing hope about him failing. He went on with the tenth task. He caught horses, and even brought back a golden apple to the king. The twelfth and last task was to go down to the underworld and bring back the three headed dog. He completed the task successfully. Hera was nowhere to be found, so his father Zeus granted him immortality. Zeus was so proud of his son and cast him into the heavens to honor him. 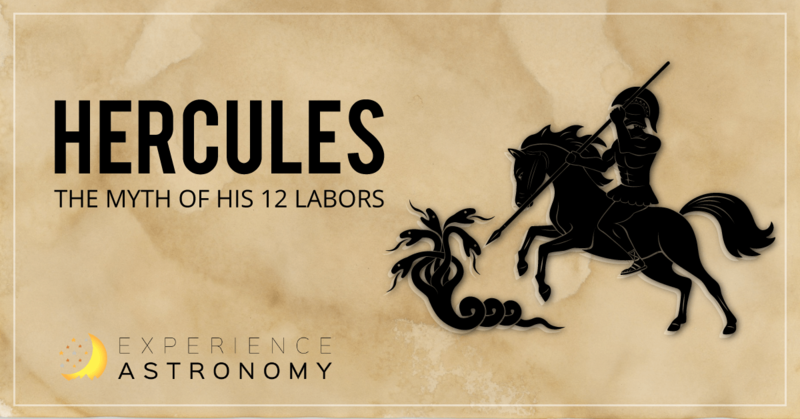 Hercules then became a constellation. This article is by Polly, age 14, an Experience Astronomy student from Midvale, Utah.